An evolving website sustains audience interest and results in repeat visitors driving your business. Creating a quality and unique-looking website is a challenging task; maintaining website quality is even more challenging. Over time, it is advisable to update your website, add or edit relevant content, and make other enhancements. You place a high degree of importance on professional website design and creation- an equal amount of importance should be placed on professional website maintenance. 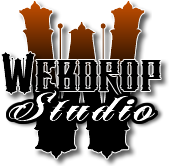 Webdroppers manage and support your website in a customized way, with a considerable amount of personal attention. Contact us now. We will create a custom designed maintenance solution for YOU!